Important note as we often get the question about whats the difference between the old free Click Fraud Monitor version and the version available on this site. At first, Yes there is a another version of our plugin available on the internet but you definitely should not install it on any of your website. It was the first version we developed but we decided to stop the continuation of it. If you are already using it, please uninstall it completely and stop the use of it. The free plugin is outdated and not maintained any longer by us for more than 2 years. The free available version is version number 1.8.6. Previous version is NOT Google TOS conform and can lead to a ban of your Google AdSense account! There were some serious Google AdSense changes which were taken into account in latest plugin versions. So take care that you are updating your plugin to latest one. If you still have any questions feel free to get in contact with us! This entry was posted in Uncategorized on September 5, 2016 by René Hermenau. The latest Click Fraud Plugin version 1.9.5 is incredible 600% faster than the previous Version. We did it with reducing the number of DB calls to a absolute minimum. The entire code base also has been rewritten for more efficiency and for easier extensibility for feature updates. The latest version also uses a better technology for detecting clicks on your ads so you will only notice in very rare circumstances that the clicks on your ad are able to exceed the maximum setting. To be fully compliant to Google AdSense TOS you must remove any custom wrapper from your AdSense ads if you are using one. The plugin detects automatically AdSense ads on your site. Please also note that we added back the custom class name feature. So you can use other ads as well with Click Fraud Monitor. If you have any other question just answer to this mail and i will answer to all your requests as soon as possible. This entry was posted in blog on August 31, 2016 by René Hermenau. In order to utilize the Clickfraud Monitor plugin, you’ll need to first download, install and activate it. The following screenshots are showing Windows 7. If you are using another version of Windows or Apple Mac system the screenshots will slightly differ. After purchase, we send you a mail with a download link to a compressed zip file which is labeled cfmonitor.zip. Optionally you can download the file from your account page. Apple Safari Users: If you are using this browser it’s a little bit tricky to get the pure zip file because Apple Safari browser extracts zip files immediately after downloading it and instead of downloading a zip file it just extracts it and just opens a folder labeled cfmonitor. 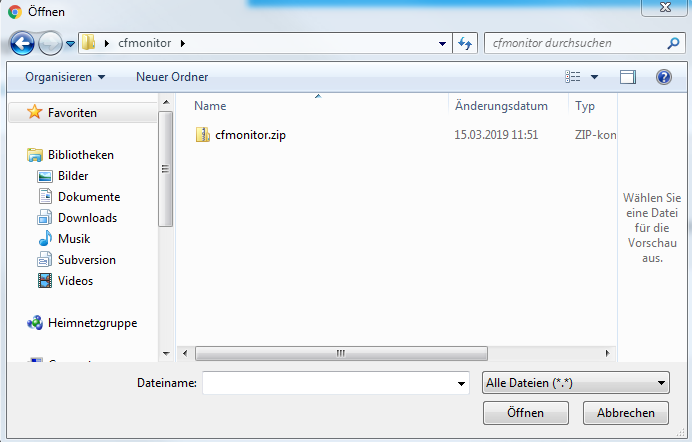 Download & save the file cfmonitor.zip first on your computer. Click the “Browse” button. Navigate through your folders and select the file from the download location. Once it’s uploaded, click the “Activate” link. The last step is to copy the license key from the mail we have sent to you and paste it into the license key form to activate the plugin and to unlock the push changes function. Where to Download the latest plugin version? You can download the latest plugin version from your account. Login first with your mail address and password. If there is no account with your mail address register a new account first. Use the same mail address you used while creating the purchase. In some circuit’sances its still possible to generate clicks when someone is skilled or when someone is using special proxy servers. Even though we reduce the number of malicious clicks on the ads tremendously some people or bots will still be able to pass through the click fraud plugin. This does not mean in every case that the exceeded click count has been counted by Google. It’s also possible that you notice more than the maximum clicks on your ads when a second click has been done very quickly and the previous operation has not been finished. Google is detecting such clicks very reliable so you do not need to worry about it. Its very unlikely that a double click is counted as malicious click by google because double clicks are often unintentionally done by the user. Even though it’s not possible to prevent all unwanted clicks the use of the click fraud plugin is highly recommended because it reduces the invalid clicks to a minimum which increase the total quality of your clicks. It blocks low-quality clicks on your ads and this can increase the Cost per Click Rate (CPC). As a result, your clicks are generating more revenue for every single click additionally to the benefit of reducing the risk of being banned from the AdSense program by excessive invalid clicks. How to upgrade a license to a higher site package? How to remove a domain from activated sites and switch to a new one? There you find the link to Manage Sites where you can deactivate the site for a specific license key. When this is done the license key is free again to be used on a new domain. Is the use of the plugin against the Terms of Service (ToS) of Google AdSense? No, it´s not against the terms. The AdSense source code is not changed in any case. The plugin detects clicks on AdSense ads and count them internally in the database. If clicks exceed the maximum allowed ones it hides the < ins> tag of the AdSense tag via js and css. Google explicitly stated that Its allowed to hide the < ins> tag of AdSense via CSS if you are using the universal responsive analytics code which is loaded asynchronously. Is the AdSense code modified? How does the plugin count the clicks? The plugin detects clicks on AdSense ads and count them internally in the database. If clicks exceed the maximum allowed ones it hides the < ins> tag of the AdSense tag via js and css. Google explicitly stated that Its allowed to hide the < ins> tag of AdSense via CSS if you are using the universal responsive analytics code which is loaded asynchronously. Do not use the plugin if you are using the old class code. Not tested yet. Please let me know if you have any issues or if you test it successfully. Does it work with installation on localhost? If you are testing on a localhost environment make sure that you are running your site on http://127.0.0.1/. If you are using http://localhost the plugin is not able to block your access for testing purposes. Is there a 100% guarantee that this plugin prevents you from the exclusion of your AdSense Account? Due to the possible technical eventualities like rotating IP addresses, there is no 100% safety. But this plugin helps you are a lot to minimize the risk to be banned because of any malicious clicks. It´s developed on a regular basis to cover as many eventualities as possible. Does it work with WordPress Quick AdSense and WP QUADS Plugin? Does it work in sidebars and widgets? Does it work with alternative ad venders or only with AdSense? This entry was posted in documentation on August 2, 2016 by René Hermenau. Google and AdSense are registered trademarks of Google Inc.